In a stroke’s aftermath, lipids are released that bind to and inactivate a unique brain-specific protein, an enzyme that clears away abnormal proteins and protects neurons from hypoxic injury. If this enzyme is tweaked in just the right way, it may retain its activity—and aid functional recovery after stroke. This idea, which occurred to researchers at the University of Pittsburgh, was recently tested in mice that were engineered to express a gene that encoded an altered version of the enzyme. Ordinarily, this enzyme, ubiquitin C-terminal hydrolase L1 (UCHL1), includes a cysteine residue that is susceptible to binding by lipids called cyclopentenone prostaglandins (CyPgs). These lipids are released in nerve cells after a stroke, and after they bind to UCHL1, they cause the enzyme to unfold and lose its function. The altered version of the enzyme, however, incorporates a binding site at the cysteine residue that is mutated, preventing lipid binding. According to the University of Pittsburgh researchers, the effects of the altered enzyme in mice suggest that UCHL1-focused strategies could be useful in treating stroke. 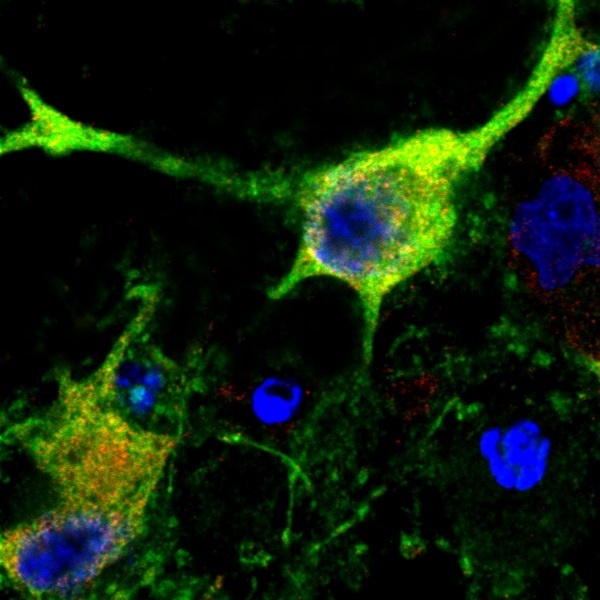 Detailed findings appeared this week in the Proceedings of the National Academy of Sciences, in an article titled, “Role of UCHL1 in axonal injury and functional recovery after cerebral ischemia.” The article describes what the scientists observed after they surgically modeled the effects of stroke in both knockin (genetically engineered) and normal mice. These findings suggest that restoration of UCHL1 activity or prevention of degradation of UCHL1 activity by preventing binding of substrates to cysteine residue 152 could be useful approaches for the treatment of stroke. For example, the current study showed that keeping UCHL1 active after a stroke helped preserve the function of neurons and brain tissue by activating cellular repair mechanisms that quickly cleaned up damaged proteins, preventing further nerve cell loss. The mice with the resistant form of UCHL1 also had improved recovery of walking, balance, and other motor functions. Graham and his colleagues, including co-senior author, Feng Zhang, PhD, an assistant professor of neurology at the University of Pittsburgh’s School of Medicine, are now engaged in efforts to identify new drugs that could prevent CyPgs from binding to UCHL1 or to replace damaged UCHL1 proteins with a derivative that can be given intravenously.